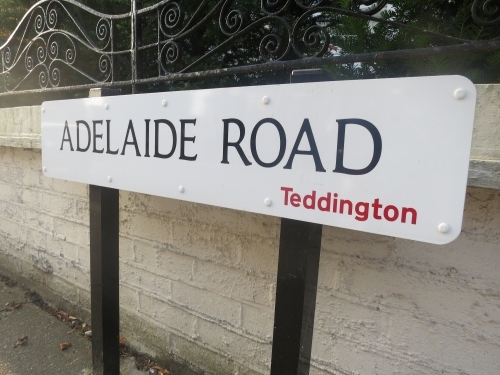 You may walk down roads in Teddington wondering where the name came from – some are simply picked without any link to the area but others were chosen to honour the many influential characters that have lived in Teddington over the years. Teddington’s rich history has influenced building and road names in particular, from Walpole/Waldegrave links to Strawberry Hill House to the various directors and influential scientists of the NPL site roads. The Duke of Clarence resided at Bushy House before he becoming King William IV – he was married to Queen Adelaide who also influenced some local road names and even further afield in Australia where the principal city of South Australia bears her name. At his Bushy Park residence, the Duke famously, on being woken in the middle of the night to be given the news that he was now King, retired back to bed, announcing that he “had never yet slept with a queen“. Other references to famous residents include R D Blackmore, author of Lorna Doone, John Langdon Down, The Earl of Munster, Thomas Traherne and Peg Woffington. Click here to open map full screen & alphabetical list. This isn’t yet a comprehensive list so if you have any to add, feel free to post them in the comments below. There is a story in one local history book that Elfin Way was punningly named after its developer – a Mr L Finn. Connaught Road used to be Coburg Road – probably altered around WW1 as possibly too German…? It is also rumoured that the crossroads of Broad St/Stanley Rd/Queens Rd /Hampton Road is to be renamed FM Conway Junction in honour of the fact they have been buggering around with it for so long.